Many of us live in a small space these days. Houses are more expensive than ever and space in cities is at a premium. You may even be renting a bedroom and have shared kitchen and bathroom facilities, so it's important to make the most of the space available to you. Here are some ideas to make the most of a small bedroom. Use light colours on the walls to make the space look bright and airy. Avoid elaborate drapes, as simple blinds without fuss will add some chicness to the room and not look overly fussy. It doesn't have to be all white though, tones of blues, greens and beige can all be used to create interest, just use bright colours sparingly for example on a duvet or scatter cushions and not on the walls. A small room can benefit from lots of lighting. Think of different ways to light the room, such as a mix of table lamps, downlights, uplights and spotlights for all purposes. You can then take the room from a working space to a cosy chill out space in next to no time. 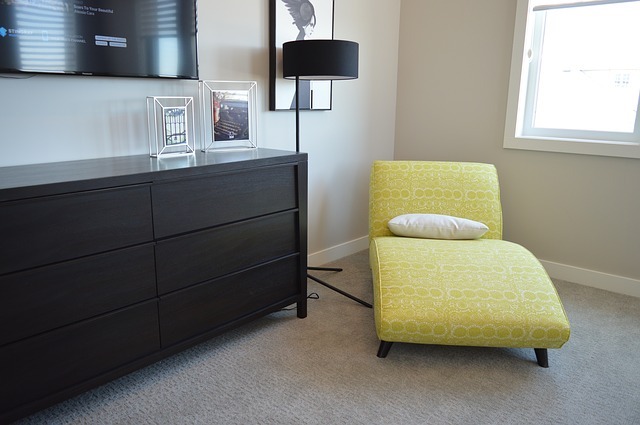 There are some cool multi-functional pieces of furniture around such as ottomans that can store bedding as well as being a seat or footstool, and sleek desks that also have shelving. 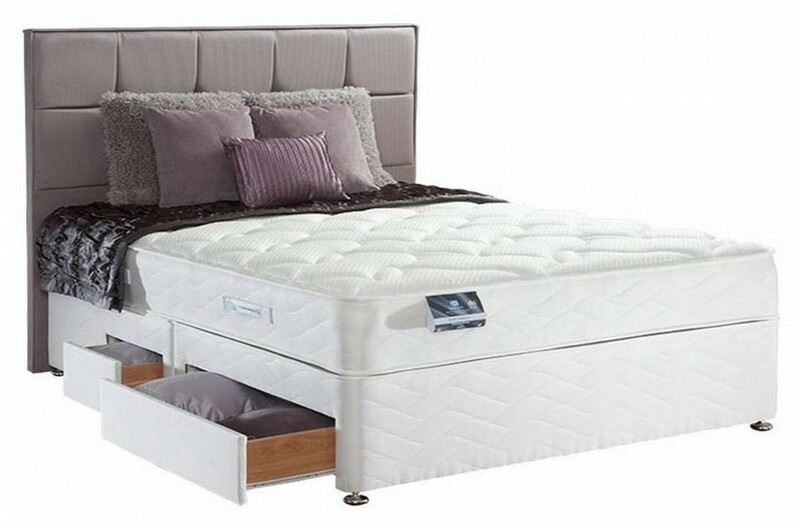 A small double divan bed with mattress and headboard can fit into the space perfectly whilst the under bed storage is useful for hiding away items you don't want on display. Floor to ceiling fitted units can be a godsend in a small space. If you can't afford that what about making your headboard into drawers like in this article? Source a workman locally and you will get something unique for your home. 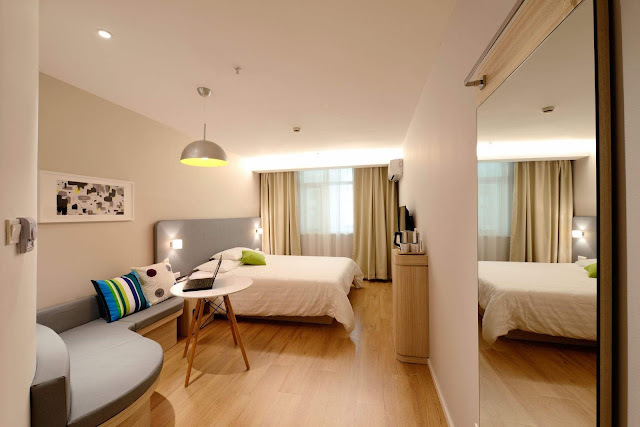 The old trick of using mirrors strategically can add an illusion of space and make it look as you have double the area. The bigger the mirror, the bigger the space will look. Fitting a mirror on a wall can work the best but having a free-standing mirror can also work if you are renting and can't attach anything to the wall. You can use curtains to divide a room, whilst giving some privacy too. Curtains can also be used to create a dressing area or divide a dining area from your sleeping area. Wall mounting your TV is a simple and effective idea that we expect in hotels these days so why not mount it on the wall? Again you may have to check if you can do this if you are renting but this is perfect when making the most of a small space as there is no need for a TV stand taking up room. While you are at it, think about subscribing to a streaming service like Netflix or Amazon Prime too, and do away with the clutter of your old DVDs. For more ideas about making the most of a small space, check out my article on storage solutions to get the most out of your small space. Do you have any ideas on how to make the most of a small space? Totally agree with using mirrors, it can make such a difference to how big a room looks and they can be a really good decoration too. It's amazing how it does. Great tips here. We need to give more consideration to our tiny guest room so these tips are very useful! Yes colour is so important and mirrors bounce the light. I love under bed storage. Bedrooms always seems to be small so we have to make the most of any space we can find! Yes under bed storage is brilliant to keep your bedroom clutter free.